Cosmic Decoders (“features a deck of 72 cards with beautiful color images of cosmic objects from the Hubble Space Telescope and other major telescopes in space and around the world, with which you can play four different games”). 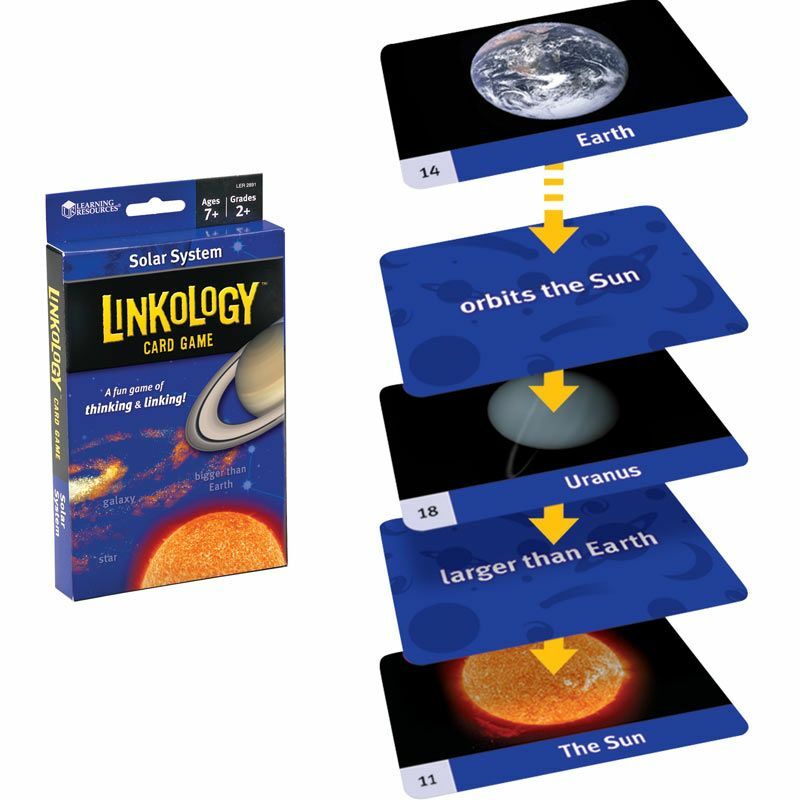 Learning Resources has a Linkology Solar System card game with word cards and photo cards to create connections and build content vocabulary and classification skills. 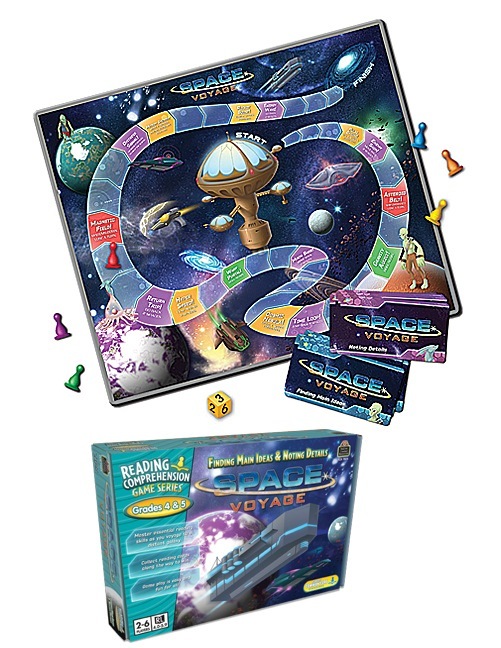 In recreational space games for kids, there is Race Through Space from Ravensburger which is kind of different with its moving board mechanic, and Robot Explorers by eeBoo which I haven’t been too excited to play with my kids–the board design needs some work. However, my kids like to play with the pieces and make up their own game of it, so that’s a bonus. 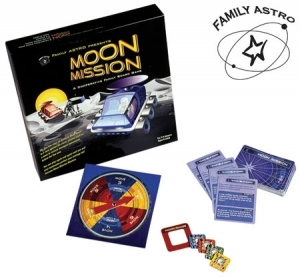 This entry was posted in Astronomy Activities, Cloudy Sky Activities, Product Reviews, Toys/Parties/Fun Stuff and tagged astronomy, astronomy games, family board game, kids games, space games. Bookmark the permalink.